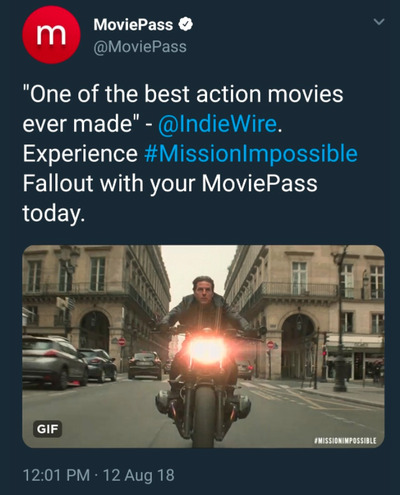 MoviePass tweeted on Sunday encouraging customers to see “Mission: Impossible – Fallout” with the service, but many users still couldn’t access the movie. Starting August 15, MoviePass is expected to fully implement new changes to the service, in which users can see any movie, but only three a month. MoviePass sent an email to customers later Sunday implying that subscribers would be able to see the movie starting Tuesday night. It seems even MoviePass employees are confused as to what movies are currently available on the service. MoviePass once again confused and angered customers over the weekend when it posted a tweet encouraging them to use the service to see a movie that most subscribers couldn’t access through the app. 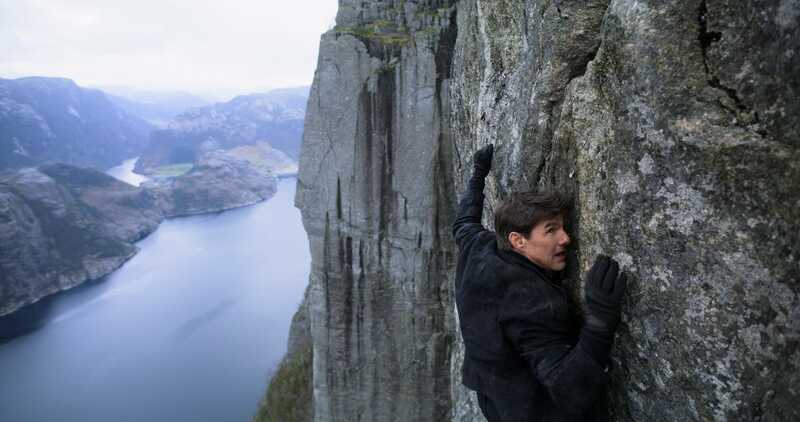 The movie-theatre subscription service urged customers to see “Mission: Impossible – Fallout” on Sunday, a movie that it had recently restricted. Late last month, MoviePass announced that it would limit big movies within their first couple weeks of release in an effort to bounce back from a series of setbacks. MoviePass recently said it would undo those changes by August 15, but it seems like even its social-media team isn’t quite sure what movies are currently available on the platform. 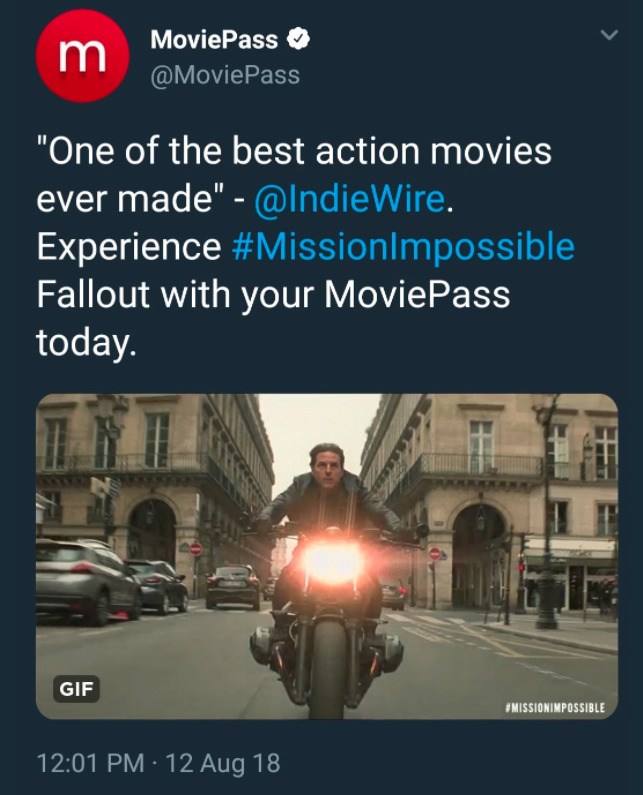 The Sunday tweet said “Experience #MissionImpossible Fallout with your MoviePass today.” It has since been deleted. MoviePass was not immediately available to comment. This week could be a make-it or break-it situation for MoviePass, as it will have to prove to its customers that the changes will work on the service. If people still can’t see “Mission: Impossible,” or other movies, by August 15, it may lead to a user exodus from the service.